1.Clean dals with damp cotton cloth separately. (Chana Dal, Ural Dall). 2.Roast rice, bengal gram and black gram (each item separately) till the grains turn crisp. Do not use oil for roasting. 1) In a deep and medium saucepan, heat 1cup water. Add Asafoetida Powder, Sesame seeds, Carom Seeds, Red Chili Powder, Oil and salt. Give a nice stir. Bring the water to boil. 2) Once water starts boiling, add boil water in Chakali flourand mix vigorously. 3) After cooling, transfer the flourdough to plain surface or in the plate. Use little lukewarm water to knead the dough. Make a soft dough. 4) Grease Chakali Press utensil from inside with little oil. Stuff enough dough in it. Press and move into circular motion to make Chakali. 5) Deep fry Chakali on medium high heat, until golden. Drain and put on paper towel to remove excessive oil. 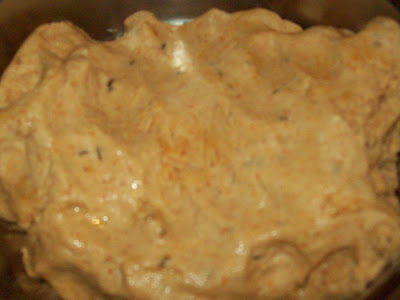 Keep Chakali in Airtight Container after cooling. 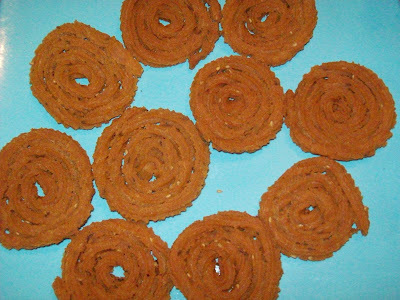 I'm loving your chaklis and Jangri recipes. You have made very nice! Looks so crisp! Hi, Happy Diwali. Send some for me. :)) I love murukku. I like the sound 2. Take care. 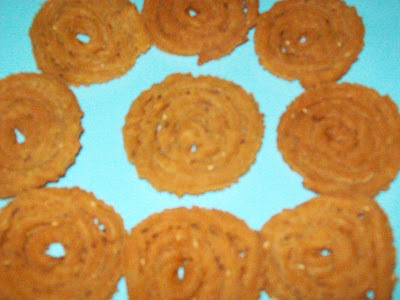 Wow u have a real treat here...mysore pak, jhangri and now chakli. Will definitely try it. Chakali is my most favorite one ...Looks crispy and gorgeous..
Wishing u many Happy Returns of the day..